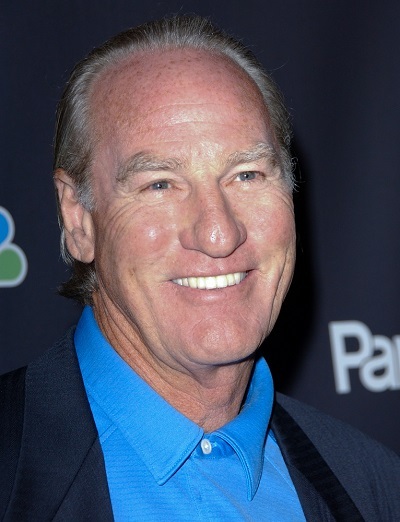 Craig T. Nelson is an American actor and comedian. His paternal grandfather was of Norwegian descent and his maternal grandfather was of German descent. His other roots are English, Scots-Irish (Northern Irish), and distant Dutch. Craig’s paternal grandfather was Julius Theodore Nelson (the son of Gulbrand/Gilbert Nelson and Anne Christine Eriksdatter Skappelseie). Julius was born in Wisconsin, to Norwegian parents. Gulbrand was born in Ringsaker, Hedmark, the son of Nils Olsen Bonde Lei and Marit Gulbrandsdatter Sælid. Anne was born in Skappelseie, Ringsaker, Hedmark, the daughter of Erik Erikson Skappelseie and Marthe Andersdatter Roterud. Craig’s paternal grandmother was Daisy May Kee (the daughter of James V. Kee and Ellen Annette Pingry). Daisy was born in Minnesota. James was the son of James Kee and Rachel Morton. Ellen was the daughter of Charles Clinton Pingry and Eunice Johnson. Craig’s maternal grandfather was Frederick Charles Spindler (the son of Jacob or Charles Spindler and Amelia Haeber). Frederick was born in California, to German parents. Craig’s maternal grandmother was Edna May VanHooser (the daughter of Charles Van Hooser and Margaret/Maggie Jane Gillen). Edna was born in Iowa. Charles was the son of Charles E. Clark Vanhooser and Caroline Warren. Margaret was the daughter of Alexander/Alex Gillen and Elizabeth.